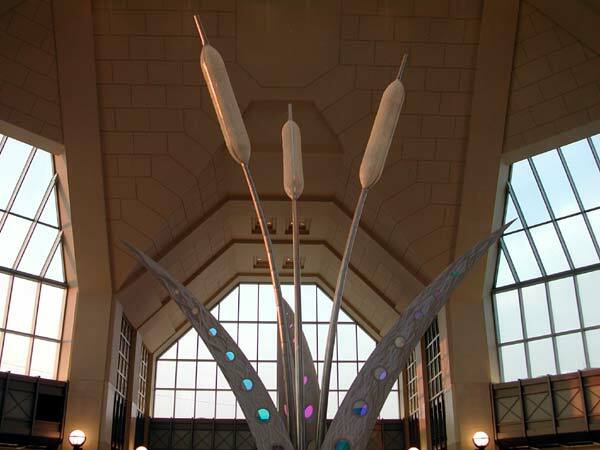 Secaucus, New Jersey: Commuting is made easier (and grander) with a transit hub 10 years in the making. Hundreds of years ago, the Lenni Lenapi Indians canoed the waters of New Jersey’s Hackensack River, past a land mass they named Snake Hill in testimony to the hundreds of water snakes that sunned themselves on its rocks, giving it a shimmering appearance. In 1904, in an area dominated by water and cattails, the Pennsylvania Rail Road determined to push its rails across the Jersey Meadows and under the Hudson River into New York City. Earlier, the Delaware Lackawanna and Western Railroad and the Erie Railroad had laid rail tracks running north/south in the vicinity of Snake Hill. The Pennsylvania Railroad tracks were compelled to span over these older rail lines, utilizing embankments and bridges to do so. 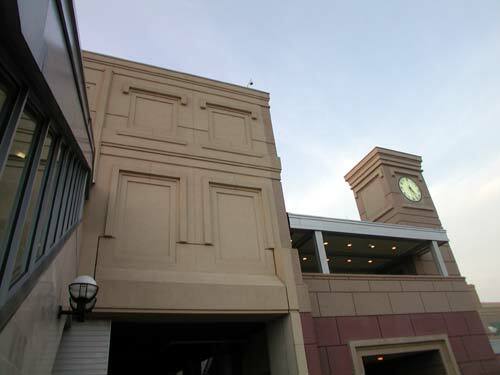 It is at the intersection of these historic tracks, north/south, east/west, and near a bend in the Hackensack River, that the new Frank R. Lautenberg Rail Station at Secaucus Junction has been built. 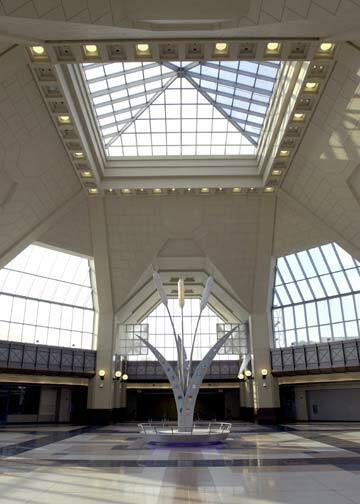 The rail station sits on a 28-acre site in the Hackensack Meadowlands. 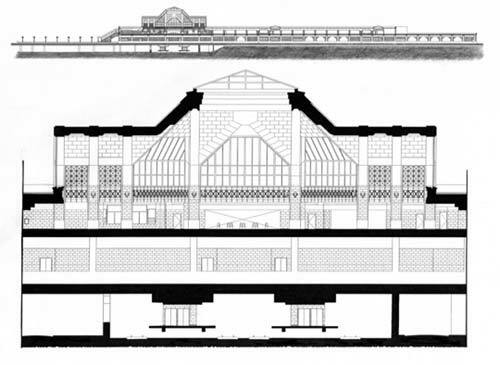 The 300,000-square-foot, four-level structure is built at the intersection of the Northeast Corridor and the Main Line and features a Concourse Level with public rotunda, as well as ticketing area, management offices, and mechanical spaces, and five train platforms with air-conditioned waiting rooms. 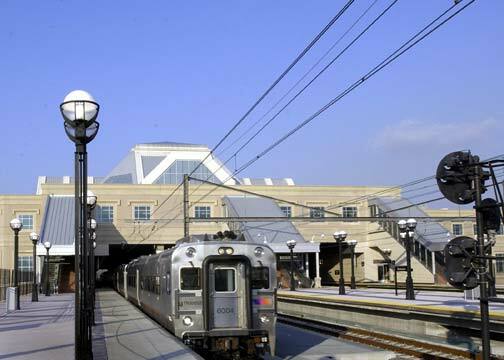 This $450 million project, which was dedicated on September 6, 2003, links 10 of New Jersey Transit’s 11 train lines, providing expanded access to destinations throughout New Jersey, and reduces north-county commuting time into New York City by 15 minutes or more. The phased opening of the station began in August; full service began with the recent opening of the temporary World Trade Center PATH station. Brennan Beer Gorman Architects (BBG) master planned the intermodal transit hub to accommodate the development of 3.5 million square feet of future commercial space with links to the railroad. In support of this overbuild, the location and size of the structural system has been designed to provide for the construction of five high-rise towers. The loads imposed on the foundations and the accommodations of lateral movement in the station have been developed to define a maximum envelope for these future buildings. Designing a multi-level rail transfer station with raised bridges and viaducts that interconnect NJ Transit’s primary commuter lines posed many challenges. As the new station was built over active rail tracks, BBG and the construction team had to execute the design without disrupting service for the 400 passenger and freight trains that operated through the site daily while minimizing disturbance to the environment. During the foundation contract and a portion of the superstructure contract, construction crews worked at off-peak hours, primarily at night, when fewer trains were scheduled. To protect workers during the architectural finishes contract, a barrier wall was designed to separate the workers from the train tracks. Soffits, light fixtures, and ceilings were coordinated to clear the barrier wall and ensure that safe construction could continue while not compromising the design. The station, and its future overbuild, must withstand the nearly constant vibration and noise of speeding trains. Consequently, it is designed with expansion joints in the station and on the platforms to respond to these unusual conditions. Typically, a structure of this size might include two seismic joints; this station incorporates six large seismic joints slicing through the building. In addition, the foundations for the railroad and the building are completely separate. An isolator is positioned in the rail bed and at the point where the foundations meet the ground to help mitigate vibrations transmitted from the railroad structure to the building structure. The project was governed to a degree by environmental restrictions, which necessitated over 30 permits and approvals. The Army Corps of Engineers discourages development within the wetlands, and requires any environmental impact to be mitigated at a ratio of 4:1. In addition, the New Jersey Department of Environmental Protection stipulates that a maximum of only 20 percent of a site’s flood plain may be developed. The engineering team addressed many of these concerns by placing the railroad tracks on a raised structure that did not require in-fill. The project took over a decade to complete. The design team worked with multiple contractors (totaling nine separate construction contracts) that were brought on board at various stages of the complex project. BBG worked closely with teams from NJ Transit management, FRH/DTA construction management, and Edwards and Kelcey civil and rail engineers from start to finish. All took exceptional care to coordinate between each contractor to ensure the continuity of work. In addition, bi-weekly project team meetings were held throughout the eight-year construction phase. Periodic workshops, some involving computer modeling, were also held on-site to resolve technical issues and questions as they arose. One of the unique challenges in such a large-scale public project executed over this extended time period was to design and redesign various systems and products to reflect updated technology and advancements in building systems as they became known and proven suitable. 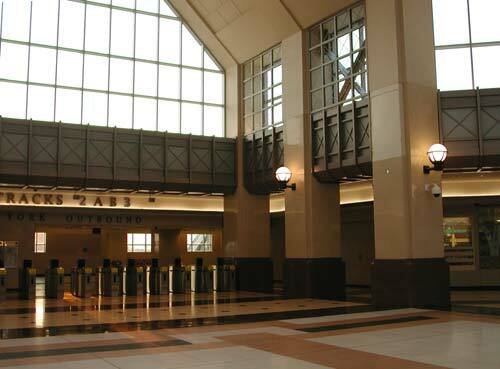 In addition, the building design changed to reflect the evolving needs identified by NJ Transit user groups over the decade. For example, numerous construction products were either replaced or discontinued during the construction period requiring constant re-specification. 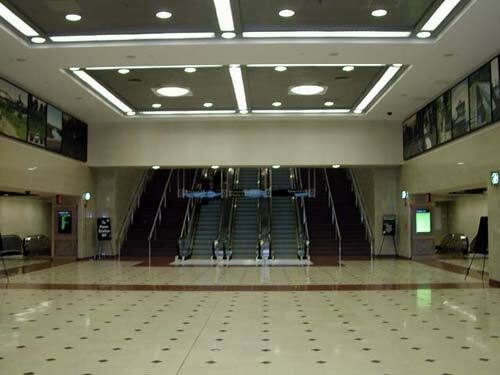 More dramatically, when the private development failed to come on line as scheduled it was necessary to construct an entirely new entrance and entrance sequence to the station. In the late 1990s, Amtrak’s signal systems were improved along the railroad corridor requiring new staff quarters for maintenance personnel to be housed in the station. Bus traffic, originally banned from the project but later deemed essential, altered site roadway configurations considerably. The project’s stone manufacturer stopped producing after completing only two-thirds of the required order. An acceptable and, hopefully, indistinguishable alternate manufacturer had to be found in record time. 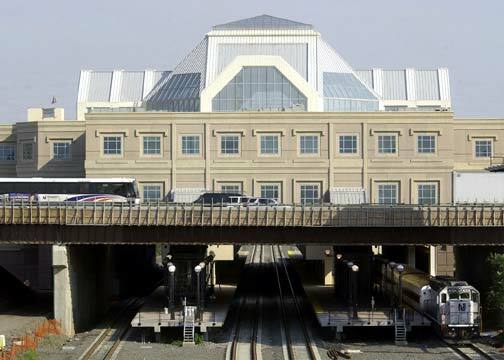 After September 11, 2001, NJ Transit increased security standards requiring many new and advanced security systems and four times the amount of office space than originally programmed into the building. When the project started, people bought tickets from clerks across a ticket counter; it’s all through vending machines now. The placement, lane width, and design of turnstiles changed multiple times throughout the course of the project, including the possibility of not having any turnstiles at all. The standards for and technology required to support dynamic track indicator systems also changed several times. The list goes on. One of BBG’s primary goals was to create a public space that encourages efficient transfer for riders while conveying the sense of grandeur found in historic train stations. Indeed, this station has been designed to reflect its importance as a regional rail hub, tying together the disparate lines of the New Jersey Transit system. Stone and steel were chosen for durability and richness. Decorative light fixtures recall, but do not copy, an older time. Relief on the building’s exterior was detailed to include 12-inch projections at sill lines. The Concourse Level features a 75-foot-high rotunda capped by a 50-foot-wide skylight flanked by clerestory windows. This grand room is the primary point for transfer between the Main and Bergen lines and the Northeast Corridor. The Concourse Level includes public services such as waiting areas, ticket purchasing/control, public restrooms, station offices, and future retail spaces. As commuters know too well, finding your way through a complex, multi-level building while trying to connect to different tracks through escalators, elevators, and multiple staircases can be maddening. BBG designed a customized version of NJ Transit’s standard static and dynamic signage programs to simplify way finding in this flagship station. 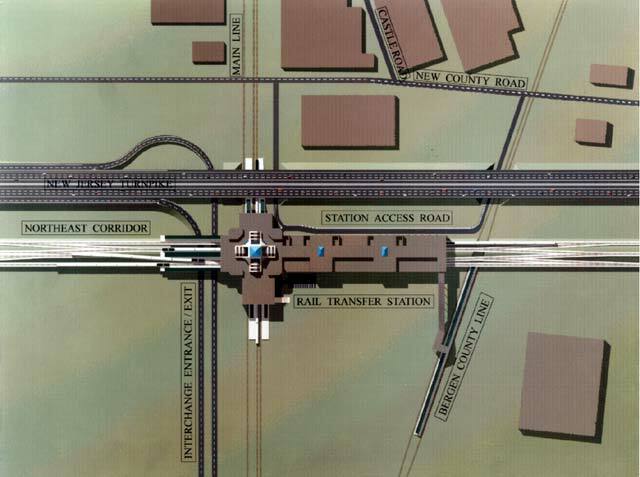 The culmination of over a decade’s planning, the Frank R. Lautenberg Rail Station at Secaucus Junction will hopefully inspire additional transit-centered development that will profit the AEC community, New Jersey residents and businesses, and the environment. Mark Sheeleigh, AIA, a partner with Brennan Beer Gorman Architects, has directed commercial real estate projects totaling more than 10 million square feet, including a broad range of hotel, office and transportation-related facilities. His project team management skills have been important to such complex developments as the Adriaen's Landing in Hartford, Connecticut, the Jakarta Stock Exchange Building in Indonesia, and the Golden Block Master Plan in Hong Kong. Brennan Beer Gorman Architects was founded in 1984 and now has a staff of 150 in offices in New York City, Washington, DC, Scottsdale, Sydney, and Beijing. Landscape Architect: El Taller Colaborativo, P.C.